Posted: February 29th, 2012 | Japan Enter your password to view comments. His Majesty’s first article about gobies appeared in 1963, when he was Prince Akihito. In the researches, His Majesty displays fluency in English and a good grasp of French. The research, especially the single-author papers published in the 1960s and 1970s, shows that His Majesty grasped problems of goby taxonomy well, and introduced new methods of systematizing goby species which were controversial but have been proven correct by the test of time. His Majesty assisted in naming the following new species: Pandaka trimaculata (1975), Glossogobius aureus (1975), Glossogobius sparsipapillus (1976), Cristatogobius aurimaculatus (2000), and Cristatogobius rubripectoralis (2003). All of these papers were jointly authored. In 1992, Science magazine invited him to contribute an article on “early cultivators of science in Japan“. In the 1990s, two goby species were named after him: Exyrias akihito and Platygobiopsis akihito. His Majesty displays an interest in taxonomy generally and the history of science in Japan, and wrote a quite readable English lecture on the subject in 2007. In 2008, the National Science Museum published a paper on tanuki at the Imperial Palace, which His Majesty coauthored; but I do not see that he had much to do with the research here, as opposed to the goby papers. I think there is an interesting point to be made in the fact that Prince Charles has spent his free time designing and marketing a line of homeopathic sugar pills while Prince Akihito made legitimate contributions to science. Every day, Longreads and Longform post long, well-researched articles. But sometimes people write whole books and just post them to the Web, which apparently are too long even for these sites. Here are some great non-fiction, fascinating e-books that are free to download. The Boy Who Cried Wolf is, in modern parlance, a simple “troll.” He delights in posting inflammatory material in public spaces to cause unnecessary concern, and he then laughs at the angry reactions he provokes. In the fable, he only gets away with this once before his village brands him as a troublesome nut. The rest quickly ignore him, leaving him to experience poetic justice in short order. But on the Internet, this could not happen. With social media at his fingertips, the Boy’s alarm message would spread well beyond his village. Some people would find his initial posting at once, while others would find it much later. A few would accidentally revive it years after the fact. But to pick a time at random, say one week after he had his fun, both the initial “fake” alert and the later “real” warning would be available simultaneously, with no way to predict which would be more widespread and more likely to come up on a search engine. Both would also be mixed in with a bewildering array of angry posts, some by people who had been duped, others noting that he was actually right. Or, “Japanese leftist groups are horrible”. The Buraku Liberation League claims that the previous “study group” was ineffective at combating widespread bigotry and a new group was necessary. The Japanese Communist Party claims that the Buraku Liberation League was pushing students to “come out” as burakumin and to engage in political activism within an official school club, which is illegal at Japanese public schools. The Buraku Liberation League claims that the teachers at the school were universally opposed to the new group because of their bigotry. The Japanese Communist Party claims that members of the “Buraku Liberation Study Group” were bullying other students, “impeaching” them, and making them confess to “crimes” against burakumin, and the teachers were opposed to a club that would facilitate this. “Buraku Liberation Study Group” students hold over a dozen meetings with teachers. “Buraku Liberation Study Group” students begin a sit-in in front of the teacher’s room. The Japanese Communist Party claims that “Buraku Liberation Study Group” students were pressuring teachers to admit wrongdoing. The Japanese Communist Party claims that the Buraku Liberation League filled six trucks with supporters and drove them inside the school gates to hold a demonstration. The Buraku Liberation League claims that “concerned members of the League and PTA” were gathering at the school gate. Teachers at Yoka High School move into group housing and begin carpooling to school in a shared bus. The Buraku Liberation League claims that the Japanese Communist Party forced the teachers to move in together to prevent “defections”. The Japanese Communist Party claims that members of the Buraku Liberation League were threatening teachers and they moved in together to ensure the safety of their families. The Japanese Communist Party claims that police were informed about these threats but declined to act. 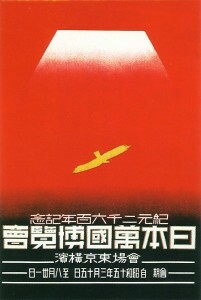 The Japanese Communist Party claims that the Buraku Liberation League occupied a school office and formed a “Joint Struggle Committee for the Impeachment of Discriminatory Education”, and “Buraku Liberation Study Group” students went through the school announcing the names of teachers who needed to be “impeached”. The leader of the local branch of the Buraku Liberation League (Yoshiaki Maruo 丸尾良昭) enters the teacher’s room and threatens the teachers, then goes outside and tells the student body that he will never resort to violence. After this, he joins the entire League marching through the main streets of Yoka City in a show of strength. The Buraku Liberation League’s account does not explain how this happened or what was going on during this time period. Classes are canceled and the teachers attempt to leave the school. The Buraku Liberation League claims that teachers instructed students to yell “drop dead Buraku scum” at Buraku Liberation League activists standing outside the gates. The Japanese Communist Party claims that no students said any such thing. The Buraku Liberation League claims that there was a struggle, and “some on both sides” were injured. The Japanese Communist Party claims that many teachers were injured, but no one from the Buraku Liberation League was taken to hospital. Remaining students flee the school. The Japanese Communist Party claims that teachers who had not been beaten unconscious are at this point physically dragged back into the school. The Buraku Liberation League claims that teachers had an extended dialogue outside the gates and were “persuaded” to return to the school. The Buraku Liberation League claims that the Japanese Communist Party instructed teachers to leave the school, and that a memo was found instructing the teachers on how to behave. The Japanese Communist Party claims that this memo was fabricated by the Buraku Liberation League. According to the findings of the Japanese Supreme Court, during this entire period of thirteen hours, the teachers of Yoka High School, including many women and old men, were confined to the clubroom of the unapproved “Buraku Liberation Study Group”, where instruments of torture had apparently been prepared for this day. They were verbally assaulted, beaten, strangled, had buckets of filth poured on their heads, had spoiled milk poured into their shirts, had their heads locked and punched, had tobacco butts put out on their faces, and were threatened with further violence and death. The student council of Yoka High School enters the central office of the city police and reports a crime in progress. The police respond that they are uninterested in investigating. The students confer, and apply for and receive a permit to protest on a section of riverbank in the center of the city from 1PM to 5PM. A black van owned by the Buraku Liberation League suddenly appears, playing the Liberation Anthem, and blasts through its megaphone that the protest is an act of ugly discrimination and racism. Students yell back at the van. The leader of the local branch of the Buraku Liberation League (Yoshiaki Maruo 丸尾良昭) personally appears at the protest and intimidates some of the students. The students ask him why he promised them no violence; he responds that some things just happen, and that anyway they brought the violence on themselves. Students stand on their permitted section of riverbank until 5PM, calling “Give us back our teachers!” and singing the school anthem. This area is now known to locals as the “Square of Courage”. A “meeting” is held in the school gymnasium by members of the Buraku Liberation League to “impeach discriminatory education”. Twenty-three teachers write self-criticisms at the request of the Buraku Liberation League. Sixty teachers arrive at the local hospital with injuries; forty-eight are seriously injured and are admitted for extended treatment. Masatoshi Katayama, the most seriously injured, has had his ribs and hips broken in several places. It is not clear what the city police were doing at this time. Thirteen members of the Buraku Liberation League are arrested. 17,500 residents of Yoka City hold a meeting to discuss how the city and school can prevent further violence by Yoshiaki Maruo and his gang. The Japanese Communist Party’s favored candidate for mayor wins election in Yoka City. Students allied with the “Buraku Liberation Study Group”, who are continuing to meet in their clubroom despite lack of official approval, inform the Buraku Liberation League that they are not experiencing any active discrimination at school, but that teachers sometimes glare at them and this makes them feel uncomfortable. The wheels of Japanese justice churn. Slowly. The thirteen arrested League members lose their Supreme Court appeal and are ordered to pay 30 million yen ($300,000) to the injured teachers. Yoshiaki Maruo founds a “Buraku Liberation and Human Rights Network” in Hyogo Prefecture. I remember reading once about a “town that doesn’t exist on a Japanese map”, where burakumin live. As far as I can tell this was the fancy of some anti-Japanese writer. Still, the idea intrigued me, so I went and scoured the Japanese Web for a list of private residences that don’t exist on maps. Most hisabetsu buraku, old untouchable hamlets, have vanished from town borders and are now replaced with ordinary, nice little suburbs. But on this list, there are a few oddball places that I can’t explain from the information available on the Internet. Please cue the X-Files theme for whenever you see that a hamlet really has no official name. Kenneth J. Ruoff in Imperial Japan at Its Zenith did an in-depth study of the year 2600 (that’s 1940 to you Westerners) but neglected to mention the World’s Fair that Japan had planned for that year. It was to have been a grand affair on the Tokyo seaside, running from March 15 to August 31. But like the Japan Olympics planned for that year, World War II put a damper on things. This was all the more unfortunate because the World’s Fair committee had already begun raising funds for the event by selling 10-yen tickets, which equates to a large amount of money today, something like 50 to 100 US dollars. A collective duty was felt that these tickets must not become useless– a duty which apparently extended beyond reasonable lengths of time. When the city of Osaka held its World Expo in 1970, organizers accepted tickets to the cancelled 1940 World’s Fair as permitting free entry to their own event! They didn’t even take the antiques, they just inspected them and gave them back with a complimentary entry ticket. And when Aichi held a World’s Fair in 2005, they did the same! Apparently as many as 90 tickets from 1940 were used to gain access to Aichi in 2005– to this, Japanese Wikipedia adds the obligatory disclaimer, “citation needed”. The tickets now sell for over $200 on Yahoo Auctions, but that could be a bargain, depending on how many Japan World’s Fairs you and your descendants are planning on attending. Below, I translate an article by Nobuo Ikeda, Japanese economist and noted commentator on nuclear issues in the Japan blogosphere. This article and its translation are released under a Creative Commons BY-NC license. I thought that opposition to nuclear power is not about individual concerns but an overriding sense of “moral duty”, but it seems like recently it’s shown itself to be simple selfishness. The local citizens’ brigade to “halt the scattering of radiation” list the towns and cities which have received rubble from the earthquake as part of an effort to stop all rubble from being buried. As explained by Taro Kono, most of the areas devastated by the tsunami were unaffected by the Fukushima Daiichi accident and it thus makes no sense to refuse all rubble from Tohoku. 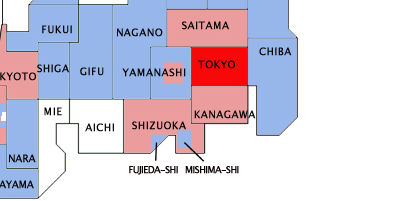 The radiation in most of Tohoku is no different from Tokyo or Yokohama. Without the ability to clear the rubble and dirt from Tohoku, the reconstruction of the affected areas will hit a brick wall. Even Osaka City Mayor Hashimoto, who was stirring up fears about radiation last year, agrees that rubble does not have any problematic level of radiation. Zero-risk fundamentalism like this makes it impossible to evaluate risk quantitatively. Looking at a page like this, you might be led to believe that “radioactive pollution is worse than an atomic bomb”, but in fact Fukushima Prefecture found that 99.8% of residents of evacuated areas will receive a real dose of less than 1 millisievert throughout their lifetime. I’d like to see the three self-styled physicists who wrote this opinion make a quantitative evaluation of the effects of 1 millisievert of radiation over a span of 50 years. The anti-nuclear movement claims the great moral duty of protecting the environment, but trying to block the importation of rubble has nothing to do with this moral duty, but is rather based in the selfish principle, “I don’t care what happens to the victims of the tsunami, but I want zero risk in my backyard.” Yukio Hayakawa and Kunihiko Takeda, who torment an entire prefecture with vitriol like “Fukushima’s produce is poison,” operate on the same principle. When the movement becomes this depraved it is only a matter of time before it dissolves entirely. The 32nd issue of “Kikan Kiyomizu“, published in the 9th month of the 7th year of Heisei, is a special edition on “70 years of Kiyomizu City and Toda Bookstore”, containing an article entitled “Memoirs of 70 Years of Toda Bookstore” published by the former chief librarian of Kiyomizu City Public Library, Harumori Yamanashi, in which we may read the following description of a bookstore ship. One final scene which resides in my heart is that of a small boat which sat at the bend in the river afore the household of Shin’ichi Shibano loaded up completely with what appeared to be brand-new books. It was a perfect subject for photos and indeed seemed quite an appropriate motif for a port city. The bookstore, which swayed gently with the ripples on the river, was one of my Kiyomizu rediscoveries. I later learned that it was made for the fisherfolk who went out to the ocean for many long, idle hours at a time, and who had thus requested such a bookstore ship. A bookstore ship swaying on the river would be a picture of some grace, and I imagine if we were to search for photographs we might still find some remaining. It’s a sight I’d like to see. Translated overliterally from the Jinbo Town Nerd’s Diary.